Storyboard Artist, Animator and Director Dana Terrace stops by Fülle Circle to discuss the race cars, lasers and aeroplanes that may or not be in her next big project (with Showrunner Matthew Youngberg and Co-Producer/Head Writer Frank Angones), Disney XD's nostalgic return to Duckburg in a reimagining of the 1987 series, DuckTales. 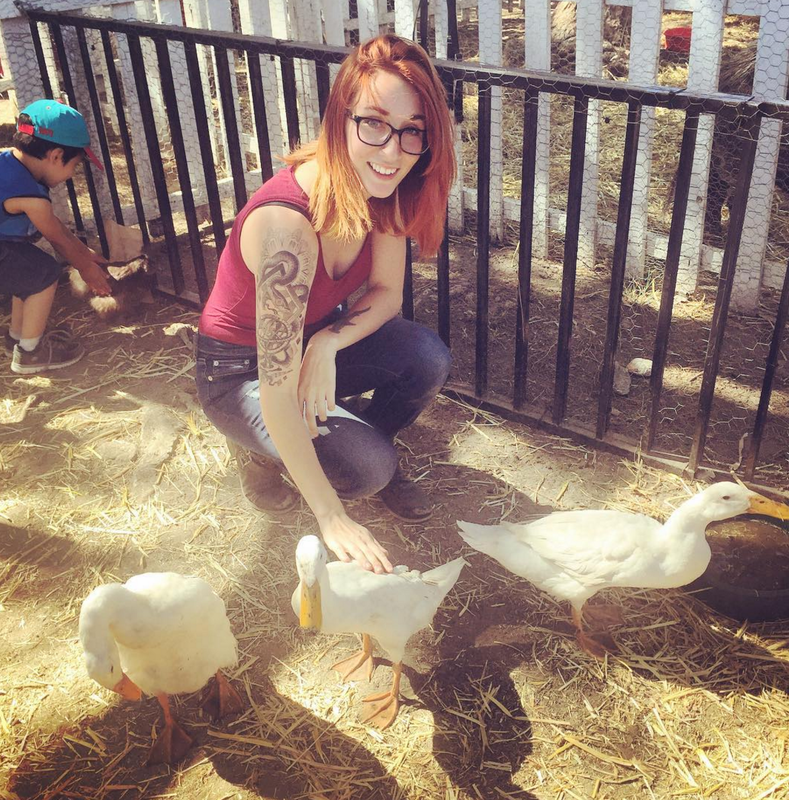 We also discuss Gravity Falls, her childhood obsession with cats, the appeal of Carl Barks, and her advice for aspiring animators. Jason Anders: Do you remember the first cartoon you fell in love with as a kid? Dana Terrace: I had always watched cartoons as a kid, but the first thing I obsessed over was Pokémon. It was 1999, I was eight years old, and I wanted a furry friend with magical powers to beat people up for me. I watched everything else but I never missed a new Pokémon episode. I didn't know what an animator was, but I knew "I want to do that - whatever it is." JA: What first influenced you to start drawing and what were your favorite things to draw? DT: I don't know when I started. I've been drawing since I could hold a pencil. What encouraged me to continue was that every time I sat down with a marker and pad of paper the adults would leave me alone. I was an anti-social kid so when I discovered this trick I used it as much as I could. I was big into cats. Every character was either a cat or a cat-girl in a dress being chased by ghosts and dinosaur ghosts. One of my favorite drawings from 1998 shows a cat-girl swinging by a vine over a pit of lava, and the cat is saying "this SUKS" (suks crossed out twice and rewritten in all caps). JA: Was DuckTales a show that you were into as a kid? DT: Nope! I never watched it until I was hired onto the show. I watched a bunch of episodes for study but had a hard time with the relationship between Webby and the triplets. It felt hateful and mean. That's something I love about the writers on our show, they treat Webby like one of the kids and make her a joy to board! Besides that, I've read a lot of Carl Barks/Don Rosa comics. Those are just delightful. I feel like I should add a caveat: Though I didn't grow up with the original show, literally everyone else on the crew did - all of the writers, board artists, designers, directors, etc. They are very aware of keeping the "spirit" of the show intact. I just wanted to work on a show with cute animals going on adventures. JA: Where are you from originally? DT: I'm from New Haven County in Connecticut. Then I was in NYC for four years to go to college. JA: Is college a path you'd encourage for those who want to pursue a career in animation? DT: My time at School of Visual Arts was a mix of experiences. It wasn't perfect. 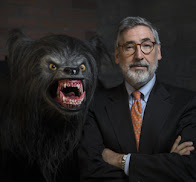 I made some great friends there and they had the facilities I needed to make my own short films. However, I found the program lacking in actual knowledge of how the industry works. Many of the teachers hadn't worked in the industry for over twenty years and were very out of the loop with how things worked. Of course there were exceptions; I had some amazing animation/layout teachers and a couple of figure-drawing teachers who completely changed the way I approached drawing. But because we were so far away from LA studios it was hard for us to imagine what an active professional looked like. I learned a lot from my peers, online tutorials, and students from CalArts and Gobelins that I would talk to in forums. I don't want to discourage anyone from doing anything just because of my singular experience. It all comes down to the individual. Some people have amazing experiences in school, I didn't. Art school isn't for everyone, especially those in financial straights, but there are alternatives! There are a million online classes students can take that offer a solid animation education by current working professionals at a fraction of the cost. It takes a lot of hard work and dedication to strike out on your own but it isn't impossible. I hope students look at both options very carefully to decide what's best for them! JA: How did you land a job working on Gravity Falls, and what was your immediate reaction to the offer? DT: It was strange! I hadn't watched Gravity Falls before they contacted me and sent a storyboarding test. Someone on the crew found my Tumblr and liked my drawings enough to email me! I did the test and they immediately wanted to bring me on as a revisionist. At the same time I was waiting to hear back from Steven Universe for a position. I was leaning more towards SU, I was a fan of Rebecca Sugar ever since I saw her films at SVA, but they took too long to reply and I needed a job so I half-heartedly accepted Gravity Falls’ offer. I think it turned out alright. JA: What is your fondest memory of working on Gravity Falls? DT: There are so many good memories on Gravity Falls - drinking with the crew and playing Smash Bros., drunkenly playing Smash Bros. with the crew, etc. One memory I go back to is storyboarding on “Dipper and Mabel Vs the Future.” There was a scene where Mabel is sadly looking through her scrapbook while Stan attempts to cheer her up. It was a real "father/daughter" kind of moment and, having lost my own father around Mabel's age, I poured my heart into it. I don't know how much of that came out in the finished animation, especially after some things were cut for time, but it was the first time I didn’t get notes from my director. If I went back I'd change a million things, but I remember being very satisfied and proud at that moment. 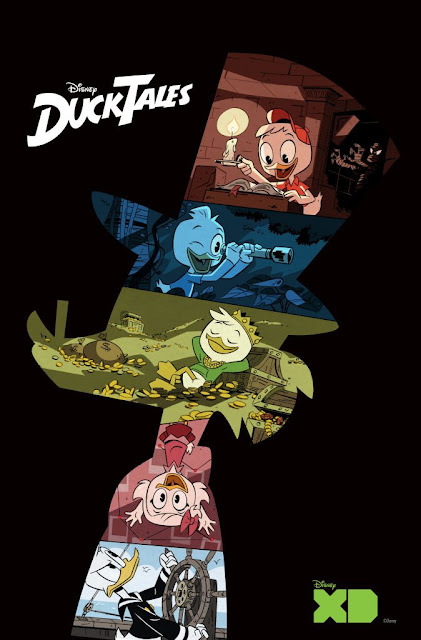 JA: How did the opportunity of working on the new DuckTales present itself? 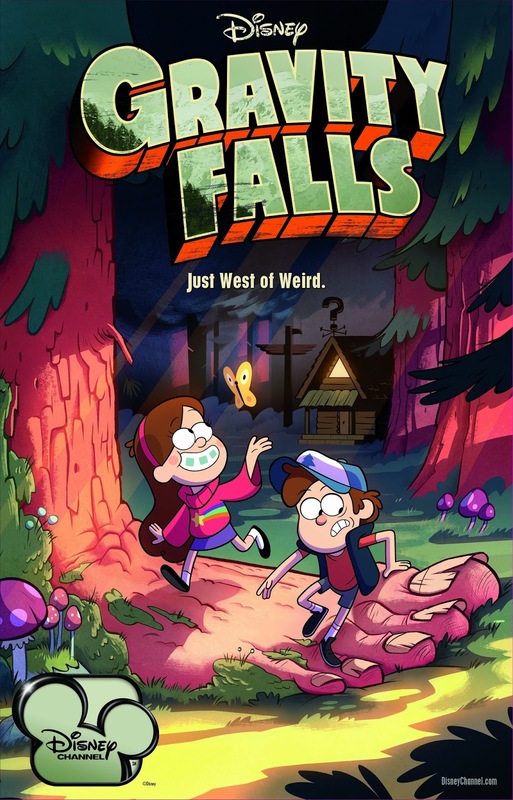 DT: The Line Producer for DuckTales was also LP for season two of Gravity Falls. When she heard I was looking for work in November 2015 she hit me up! I was originally offered a boarding position, but I had just finished boarding for a few projects that left a bad taste in my mouth. So I took a chance and asked if they had a director's position open. Fortunately, they did - and even more fortunately, they were desperate enough to try me out! JA: What do you love most about DuckTales, both the new and original show? DT: I can't say much about the original show, but I'm a big fan of the Carl Barks comics. 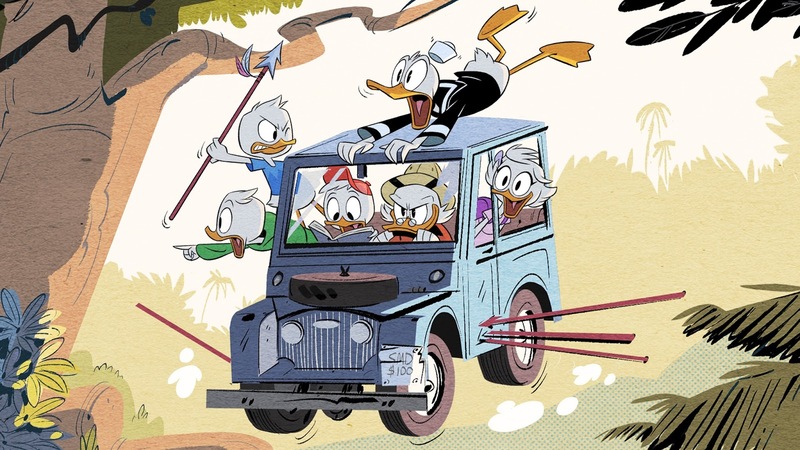 What I love the most is the way he drew Scrooge and Donald. Their closed-eye designs were so cute and their smiles so appealing. Happily, we've integrated some of those Barks-isms into our designs. I feel so biased talking about the show I worked on. Of course I love it! The scripts are funny, the characters have depth, and best of all Webby has an actual goddamn personality besides "girl". She's my favorite character to work with. I think people will appreciate what we've done with her. JA: What can we expect from the new series? DT: Same as the old; really cute animal characters going on adventures, but with a little more personality for the kids and a little more depth for every character all-around. I think people will like it! JA: What is your all-time favorite piece of animation? DT: If you're talking about animation as in “which piece of pure context-less piece of art do I like”, I go back to the scene in Ghost in the Shell when Major Kusanagi's arms are being ripped apart while trying to defeat a terrorist robot, or the marching parade in Paprika, or just the little looped GIFs made by talented friends like Jeff Liu, Spencer Wan and Toniko Pantoja. Just for the sake of narrowing it down, my favorite animated movie is Princess Mononoke. It's stunning, heart-breaking and otherworldly. Without fail I start crying ten minutes into the film every time. I'm awful to watch it with. DT: The inevitability of death! Before I die I want to make sure I put 120% into my passion. JA: What advice would you give to artists who are just starting out and trying to get their foot in the door? DT: I say this all the time: DRAW! Draw every goddamn day. Or write every day, if that's your thing, and show your work to people, online and offline. Learn how to take critique and never let yourself hide behind "styles". That's how amateur artists stay amateurs. If you want to get into animation it will behoove you to be versatile. At the end of the day, the quality of your work is all that matters. JA: How would you describe yourself in three words?